In a move reminiscent of Air New Zealand's "Seats to Suit", Virgin Australia yesterday rolled out their new "Fares to Fit"
It simplifies airfares into 3 new categories Saver, Flexi & Premium. Saver: Is the simplest and cheapest fare, offering the seat + carry on baggage, with the option to pay for checked baggage, entertainment and food. Premium: This is the new business class offering all inclusive food and beverage, a whopping 69kgs of luggage, lounge access and much more. The Premium fare can be used in the new business class seats on the new A330's and will apply to the premium economy seats on the B737sa and the E190s. All fares will still earn Velocity points, and status credits. It seems Qantas dont share the same optimistic outlook on the aviation world that competitor Emirates do. While Emirates last week completely scrapped their fuel surcharge, Qantas are mulling over the options of raising theirs, despite the recent drop in the oil price. "We're still in the territory of going forward looking at further fuel surcharge increases," CEO Alan Joyce said. Australia's biggest carrier has already raised fuel surcharges three times this year. The Australian dollar's meteoric rise should have also reduced fuel costs, but this hasn't helped Qantas, who are also looking at the impact the Government's Carbon Tax will have on the airline, and what costs it will mean are passed onto passengers. 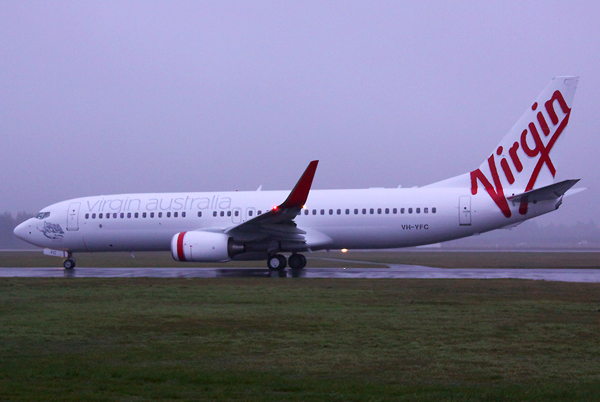 Air New Zealand and Virgin Australia (Pacific Blue) have announced their new joint trans-tasman network. The biggest winner out of this seems to be Wellington who are now guaranteed a double daily service to both Brisbane and Sydney although Melbourne still isnt served daily. Christchurch gets a double daily return to all 3 major Australian capitals, while Air New Zealand will also increase flights to Adelaide and Perth from Auckland. In slightly related news Virgin Australia yesterday rebranded their HQ "Virgin Village" in Brisbane with the new Virgin Australia branding, replacing the branding of the Virgin group airlines, Virgin Blue, Pacific Blue, Polynesian Blue & V Australia. Jetstar have launched the route with a Jet Saver Light fare sale of just $5 one way. In response Air New Zealand have used their grabaseat.co.nz site to offer a limited number of $1 flights on the AKL-DUD, CHC-DUD and WLG-DUD routes, which of course were snapped up within minutes.